A little vignette - Sometimes something simple is all you need. Sometimes something simple is all you need. 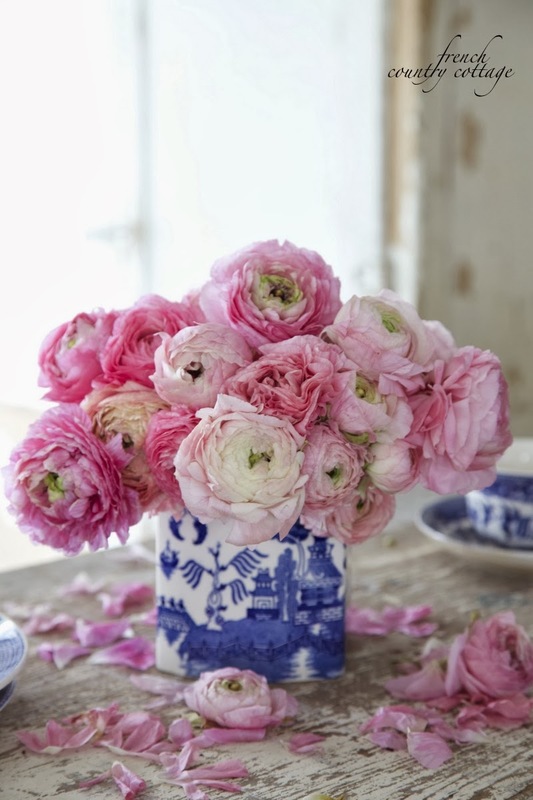 like a stack of blue and white dishes and pale blooms in a basket. 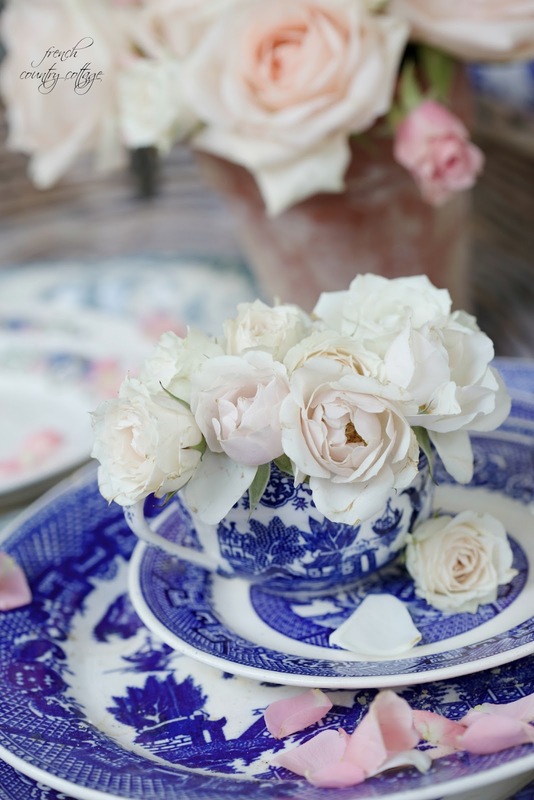 plates, teacups and platters for a little inspiration for a patio makeover. 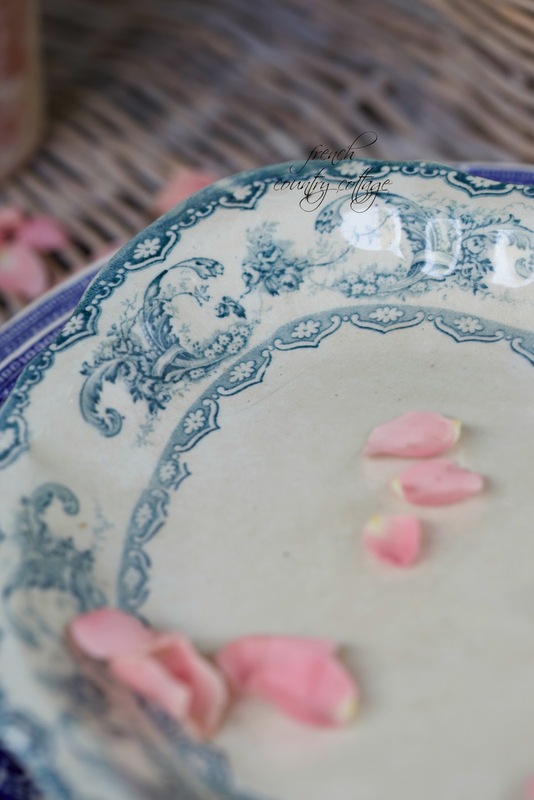 blue and white transferware and dishes make a big appearance in French Country design. but I didn't really start collecting until a few years ago. You might remember this blue and white plate wall. Or more recently, this planter that I used as a vase in the dining room. 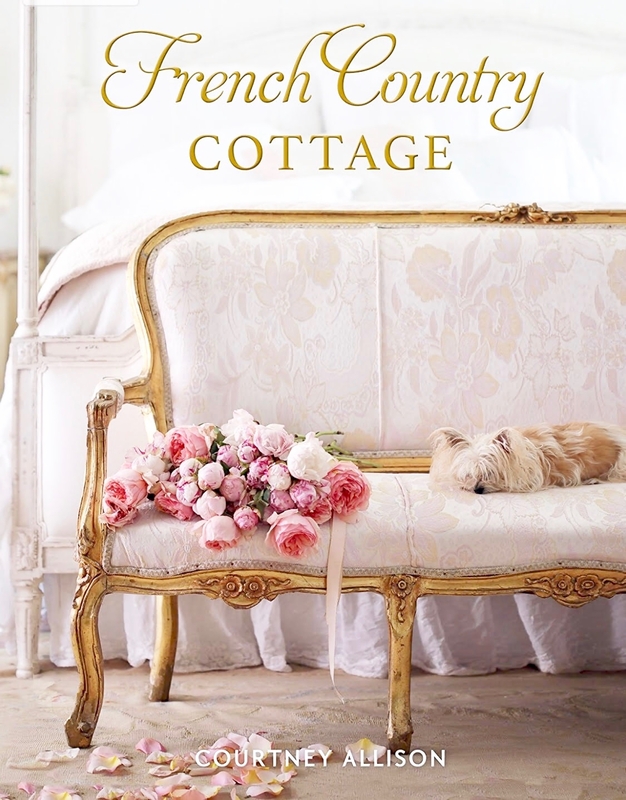 Or this little coffee cutie in Blue Willow. One of the most well known blue and white patterns is Blue Willow. 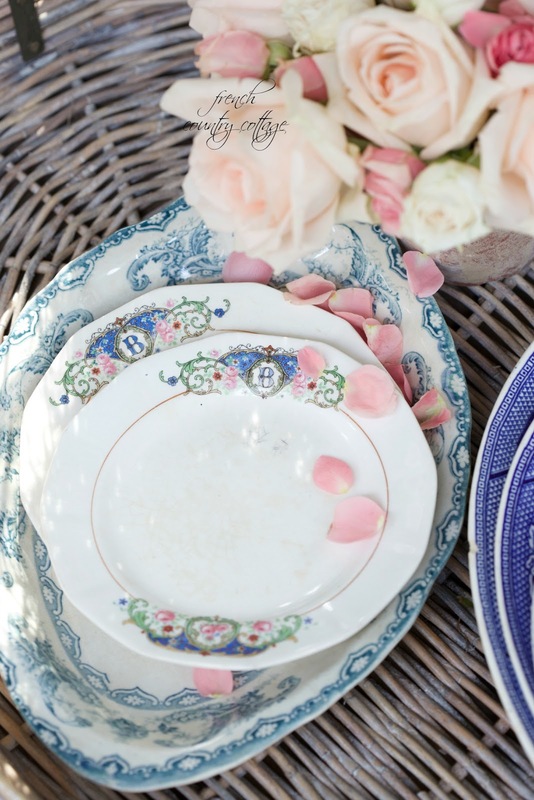 these sweet monogrammed floral plates have stolen my heart. for .50 each and dragged them home with me in my suitcase. This ironstone platter was another find from the same trip and it had me at hello. and while it is far from perfect in condition- it is a beauty. looking to start your own collection. and stacks of reproduction at places like HomeGoods. on the patio- more blue and white love coming next week. 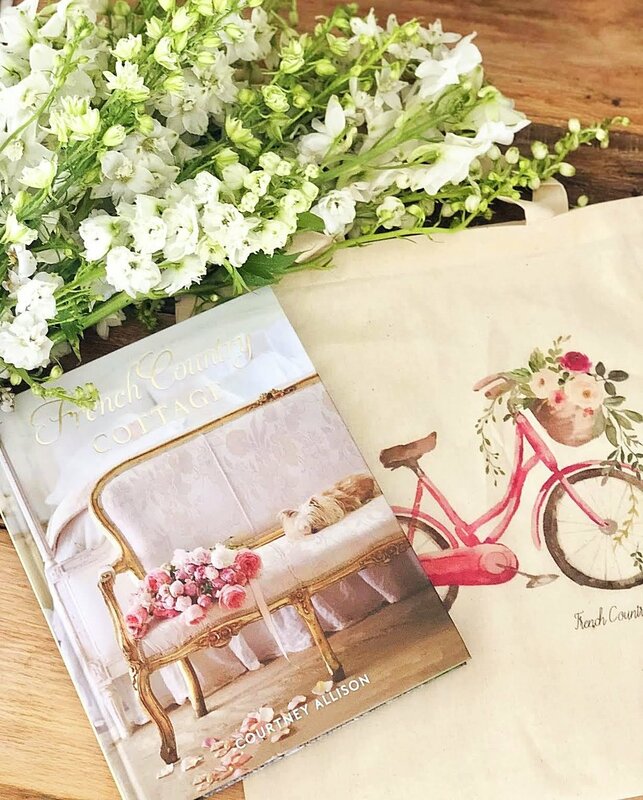 Pop on over to take a peek at what else is being shared today! 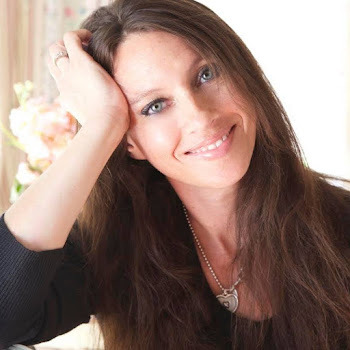 Your images are pure loveliness, Courtney. 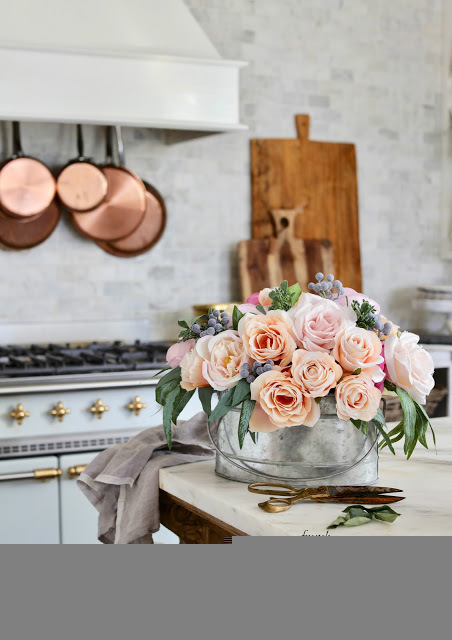 I love the fresh look of blue and white....especially the faded hues, with the soft pink and white flowers you display them with. 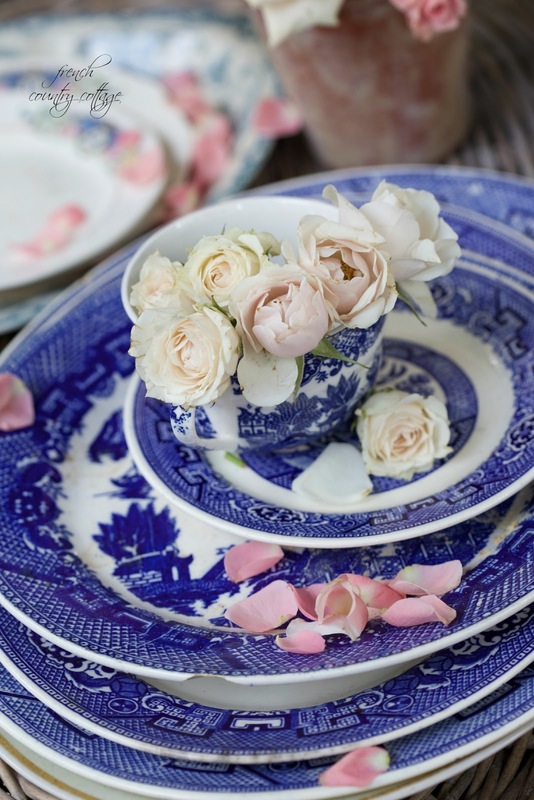 Your collection of blue and white dishes is beautiful! I love how you display them with flowers as well!! I recently started to collect them and love them hang in my kitchen and dining room! You have such beautiful pieces. There's nothing like blue and white is there? I love, love the ironstone platter...sublime! 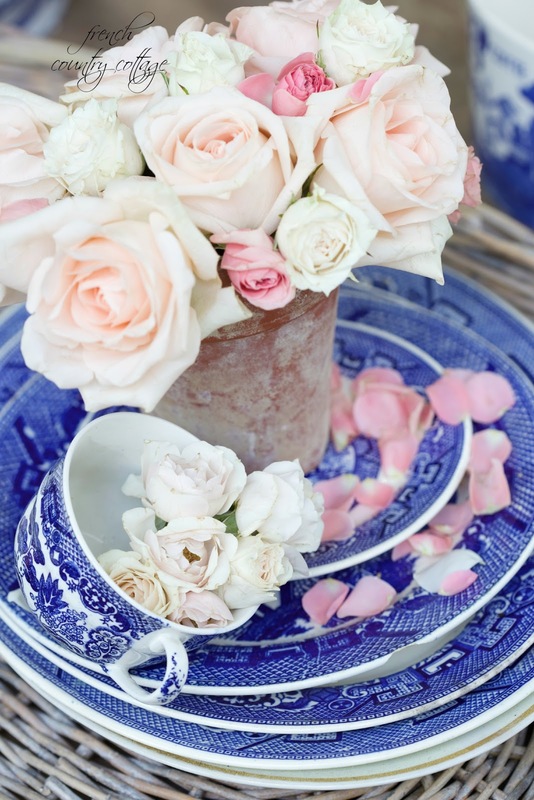 I love the blue teamed up with the softness of roses. 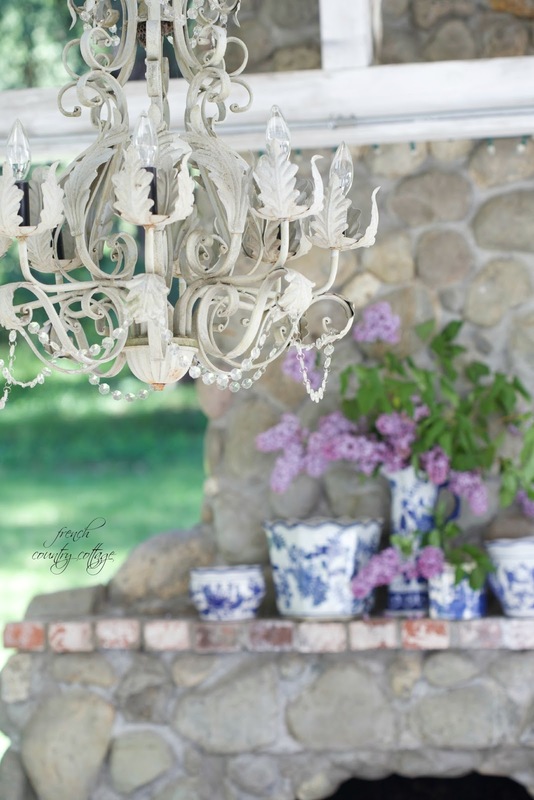 Blue willow is such a timeless pattern …..
Love blue and white! You have a beautiful collection! Just beautiful, Courtney. Can't ever go wrong with blue and white. 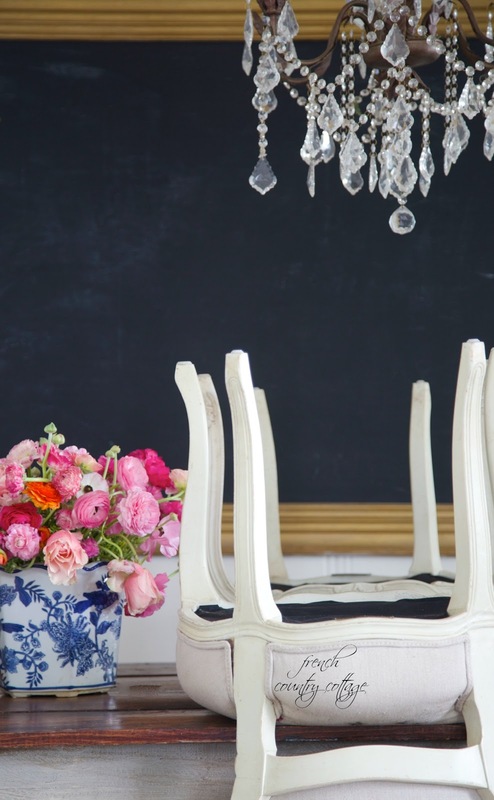 Beautiful, a beautiful focal wall. I love your beatifull collection blue and white...!!! !